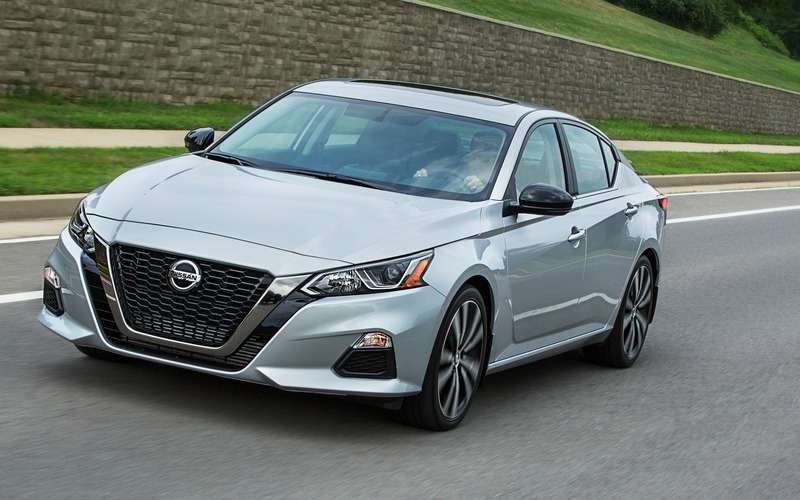 The new 2019 Nissan Altima is now offered in Canada with standard all-wheel drive, and the brand decided highlight this feature in a big way at the Montreal International Auto Show. 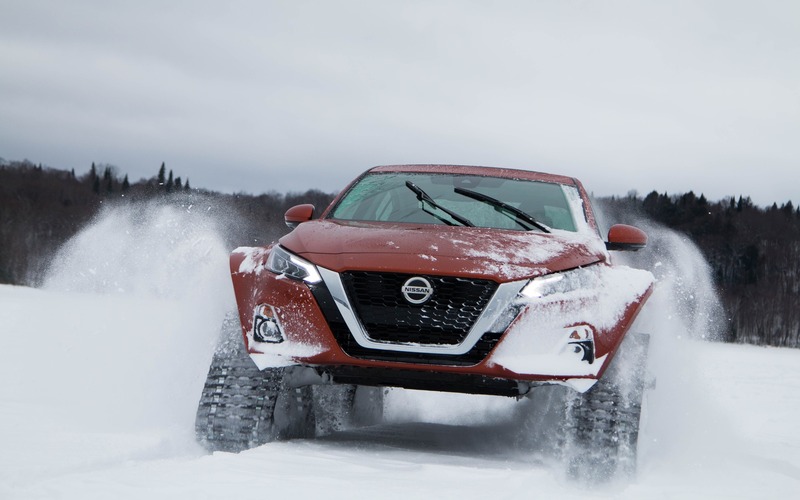 Partnering up once again with Quebec company Motorsports in Action, Nissan removed the wheels off its Altima and replaced them with heavy-duty tracks. 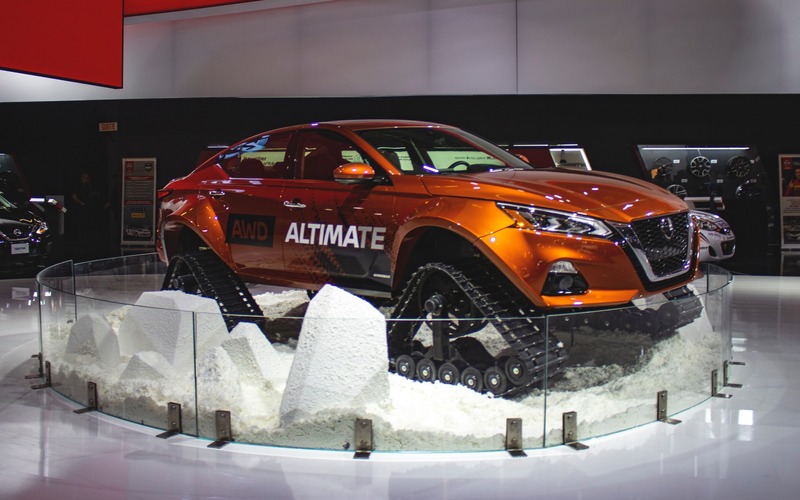 The Altima-te AWD—as it’s called—can now confront the worst winter conditions. In addition to integrating these grippy boots, this Nissan Altima perfectly suited for winter in Canada was widened by 18 centimetres on each side. MIA also raised the car’s ride height to install the tracks, which are 75-cm tall. The suspension geometry had to be adjusted to compensate for the higher centre of gravity. With this winterized Altima, Nissan Canada is pursuing its tradition that started at the 2016 edition of the Montreal Auto Show. At the time, the company presented the Rogue Warrior, which was also modified by MIA. 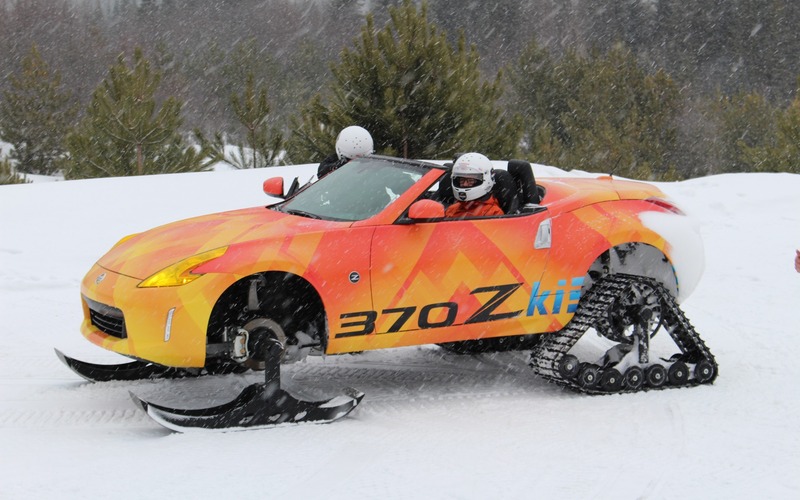 More recently, Nissan presented the 370Zki, a 370Z Roadster transformed into a dreamy winter car with tracks at the rear and skis up front. Aside from this outrageous Altima, Nissan also presented the “regular” version of the Altima sedan for the first time in Canada. This new generation of the Altima stands out not only by its all-wheel drivetrain, but also by its much more dynamic design and its ProPilot Assist semi-autonomous driving system. As for the Altima-te AWD and its heavy-duty tracks, wait before you whip out your chequebook. It’s a unique, one-off model that won’t go on sale. 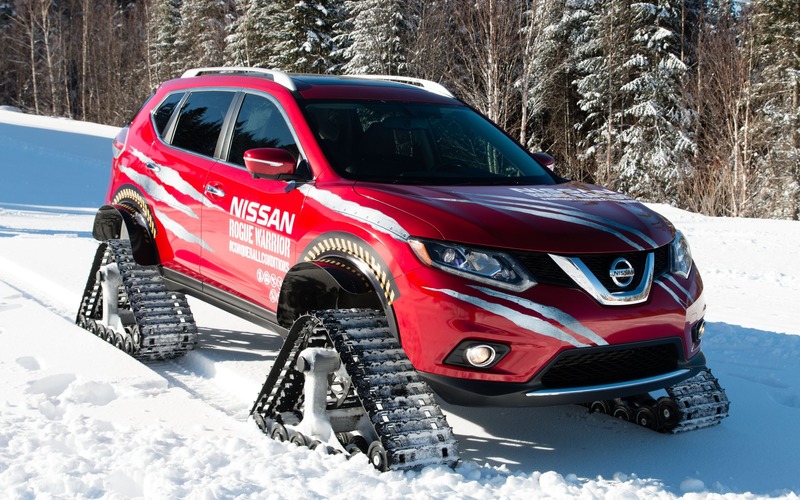 Nissan Canada will use it for various promotional events across the country, and will also be on display at the upcoming Toronto Auto Show next month.